Identity Theft and Cybercrime: Which State Ranks Highest? – Ross, Stepien & Kadey, Inc. The 2016 Identity Fraud Study, released by Javelin Strategy & Research, found that $15 billion was stolen from 13.1 million U.S. consumers in 2015, compared with $16 billion and 12.7 million victims a year earlier. 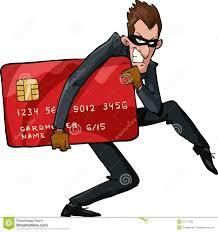 In the past six years identity thieves have stolen $112 billion. Following the introduction of microchip equipped credit cards in 2015 in the United States, which make the cards difficult to counterfeit, criminals focused on new account fraud. This type of fraud more than doubled and now accounts for 20 percent of all fraud losses. New account fraud occurs when a thief opens a credit card or other financial account using a victim’s name and other stolen personal information. The Consumer Sentinel database, maintained by the Federal Trade Commission (FTC), contains over 10 million consumer fraud and identity theft complaints that have been filed with federal, state and local law enforcement agencies and private organizations from 2010 to 2014. In 2014 over 2.5 million complaints were filed. Of the 2.5 million complaints received in 2014, 60 percent were related to fraud, 13 percent were related to identity theft, and 27 percent were for other consumer complaints. The FTC identifies 30 types of complaints. In 2014, for the 15th year in a row, identity theft was the No. 1 type of complaint among the 30 categories, accounting for 332,646 complaints, followed by debt collection, with 280,998 complaints. Internet services, with 46,039 complaints, ranked tenth. (1) Percentages are based on the total number of Consumer Sentinel Network complaints by calendar year. These figures exclude “Do Not Call” registry complaints. (1) Percentages are based on the total number of complaints in the Federal Trade Commission’s Consumer Sentinel Network (332,646 in 2014). Percentages total to more than 100 because some victims reported experiencing more than one type of identity theft. (2) Includes fraud involving checking, savings and other deposit accounts and electronic fund transfers. (1) Population figures are based on the 2014 U.S. Census population estimates. (2) Ranked per complaints per 100,000 population. The District of Columbia had 142.8 complaints per 100,000 population and 941 victims. States with the same ratio of complaints per 100,000 population receive the same rank. (1) Percent of complaints submitted to the Internet Crime Complaint Center via its website.